Australian Registered Migration Agent in the UK & Europe - Skilled Migration, Business migration, Family migration. With over a decade of experience, providing Australian immigration services from within Australia, the UK and Europe, we have your bases covered. Please contact us if you want an assessment of your options or eligibility. Our immigration services are provided by Mark Welch. 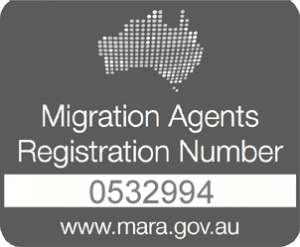 Mark has been an Australian Registered Migration Agent, with the Office of the Migration Agents Registration Authority (OMARA), since 2005. The OMARA administer and regulate the professional standards of individuals who are able to provide Australian immigration assistance. The OMARA also monitor the obligations of Registered Migration Agents as outlined in the Code of Conduct. Freephone: 0800 772 0570 | Monday to Friday (GMT) 8.30am – 6pm. General Enquiry: Use the Contact Us function below.